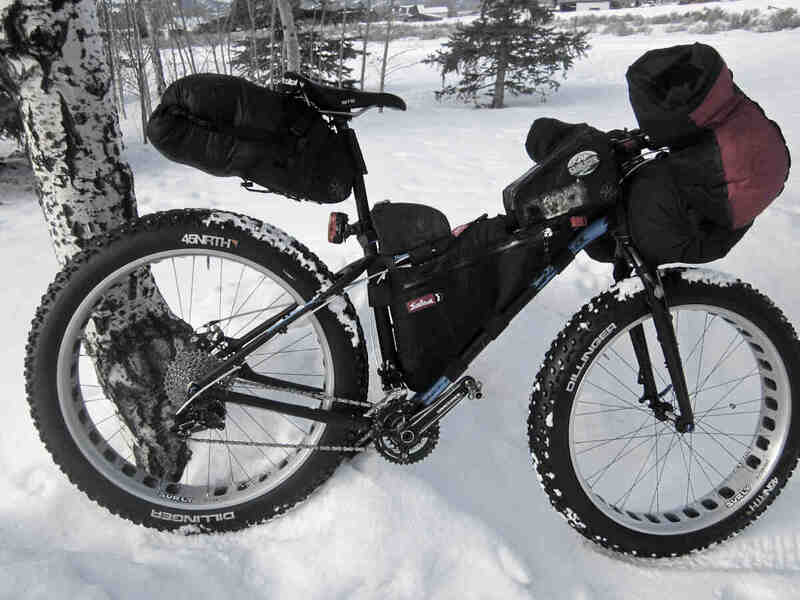 Salsa Beargrease fully loaded for the Iditarod Trail with full Thermos and some calories. Complete set-up weighs 46lbs. There are a few trails I have competed on in the past that have created a soft spot in my heart as I crave to do them again, and will, with any opportunity. The Iditarod Trail is one of them and the opportunity just came up. Typically in an event like this people prepare for months and even years. I know it took me years of preparation, experience, and mental toughness to pedal through my first Iditarod. Starting this Sunday, Feb 24th, I will be competing in my 6th Iditarod Trail Invitational with only having the past 2 weeks to prepare. Considering I am only embarking on the 350 mile short distance it's not nearly as involved as going the full 1100 mile distance to Nome. 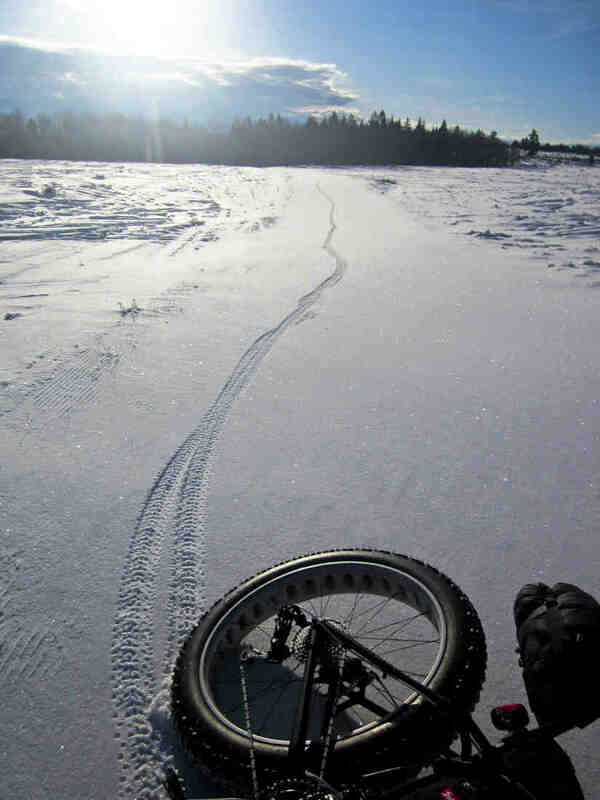 As an experienced, passionate winter cyclist and one who lives a lifestyle of long distance competition I am comfortable with embarking on such an adventure on little notice. The past 2 weeks have been a bit of a scramble but it has been ample time - or shall I say “just enough.” Over the past couple of years I have also been finding that I perform better mentally on a last minute entry, and actually prefer it. So, I have been hanging out in my “man cave” each night fiddling and packing my bike. Looking at every piece of gear making sure it is the correct piece, modifying it if I need to and then making sure it is in it's proper place. I tend to get pretty detailed, as I cut off all my tags and anything else that just seems to be extra, insulate anything metal that my hands may touch, seam seal the heck out of any gear that needs it, tether things with bungee cord, have additional pockets sewn into my clothes, and the tinkering basically never stops till I hit the trail. That's figuring and playing with the gear. 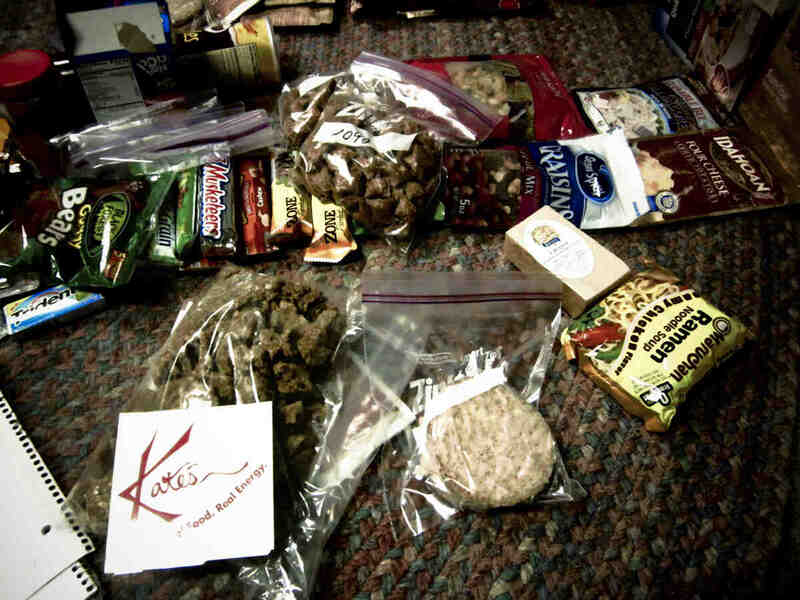 Another big part of the preparation is putting together two food drops that get dispersed on the route to re-supply from. Since there was no real time to do this and the time crept in as they needed to be mailed the next day, I grabbed some old lists of previous years drops, ran to the store and started filling a shopping cart up with calories. Each year I have learned from this and determined I need a balance of carbs, sugar, protein, and fat. The tricky part is I do not carry a stove but I do carry a thermos of boiling water so I can ration myself a hot drink, an oatmeal packet and one hot meal per thermos. The hot meal is usually instant potatoes or a ramen noodle of sorts. It was a relief to get these out last week. The best part of preparing is actually going out riding and camping. I usually make many mental notes, sometimes bring a pencil and paper, and upon my return tend to those notes. Considering the timing I've only had one sleep out, which was very valuable as I was testing a trimmed down sleeping system, but I have been riding fully loaded almost every day. 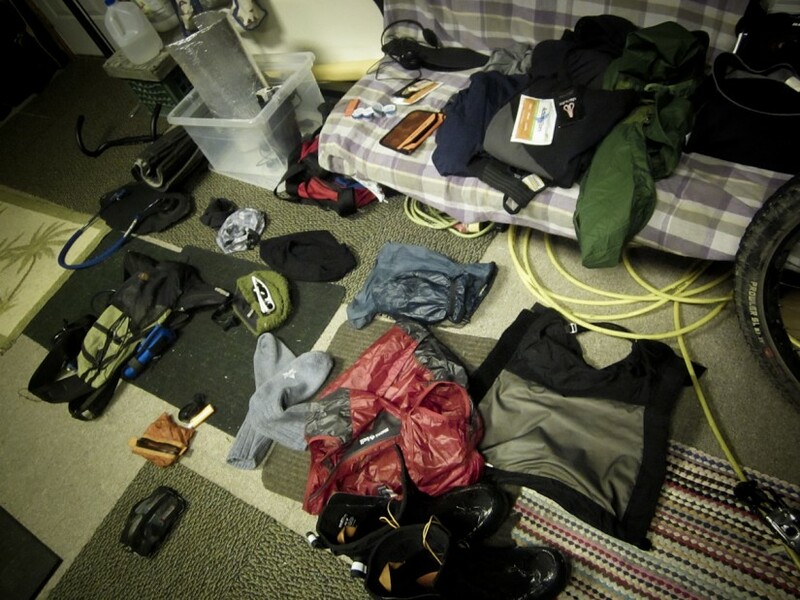 The logistics of gear and food are certainly important but my mental state is the most important to me. I achieve this mostly by past experiences, but within the past few days I have started asking myself some questions that will help me prepare and give me direction when the race starts. What are my goals? What is my strategy? To sleep or not to sleep? I may not know the answers right now but I will have fun thinking about them in the days to come and then once out on the trail the game really begins as the real live decisions will dictate the experience and determine the result. Thanks to 45NRTH I will be wearing my Wölvhammer boots and my Beargrease will be mounted with Dillinger tires! Both have been tested very intensely this winter and give me confidence as I set off for Alaska to participate in the Iditarod Trail Invitational!